The generation who has grown up with Knight Rider, Spaceship Orion and friends knows this typical arm movement: the wrist is raised to the mouth and a command is spoken into the watch of the mobile phone. Today, a few decades later, this fiction has become everyday reality because the Smartwatch – a combination of wrist watch and smartphone – is regarded as a new trend not only in the electronics industry but also in the watches sector. According to the experts, the intelligent watch offering functionality similar to that of a computer will already be commonplace in the next few years. Market analyses (source: canalys.com) have shown that more than six million Smartwatches and fitness wristbands were sold in the first half of 2014. In the first six months of 2013, the corresponding sales figures did not even reach one million. A survey on the utilization potentials of Smartwatches, which has been conducted by BITKOM in 2014, reveals that one out of three Germans (31 percent) signals interest in a computerized watch. 13 percent of them are already sure that they want to use such a device. Among the younger ones, i.e. those aged between 14 and 29 years, even nearly one out of two (49 percent) are interested. Here, the primary target group is predominantly male (with 39 percent). The proportion of women enthused by these new high-tech gadgets amounts to some 23 percent. A few manufacturers have recognized these developments early on and are already represented in the market with corresponding models. 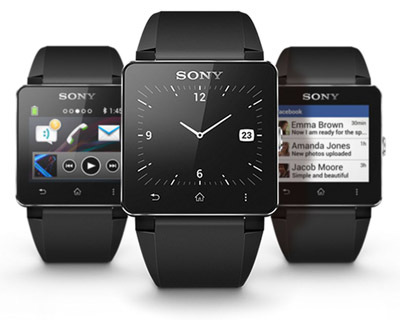 The Smartwatch is a wristwatch with the inner life and functions of a mini­computer. It is capable of communicating with other mobile end devices such as Smartphone’s or tablets. Incoming short messages, e-mails, and calls can be comfortably read on the display. Thus, taking a quick glance at the wrist is sufficient to have an overview of all the relevant information. Numerous tests and comparisons of the different suppliers of Smartwatches are intended to help find the right model for one’s own needs. Manufacturers like Casio, Samsung, Pebble, and Sony are continuously further developing their assortments. For instance, the watch is intended to facilitate electronic payment and the integration of apps. 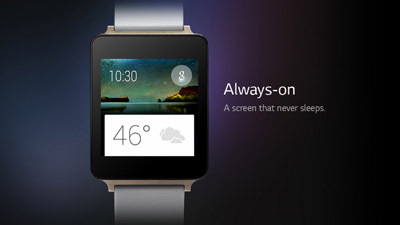 In this context, the LG G Watch belongs to the first generation featuring the new Android software. Apple will present its first model to the public in September 2014.